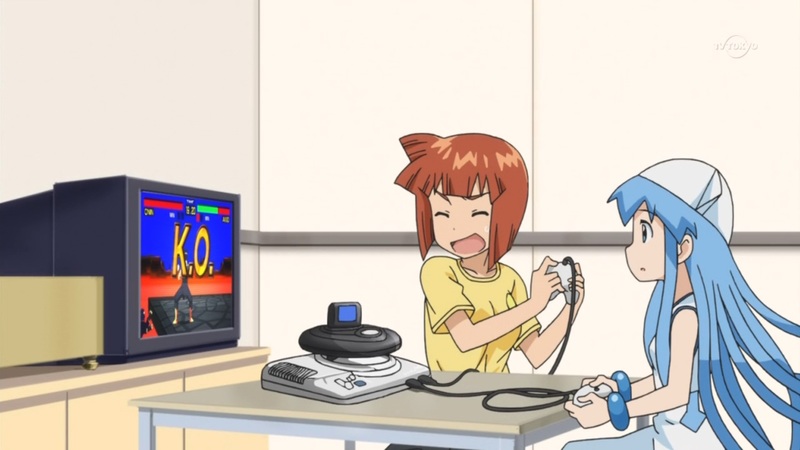 They were playing Virtua Fighter in the second skit of the episode, on a console that certainly looks like a Megadrive with a 32 X. Also when Chizuru threatened Ika after she tried to tickle her, when she moved her arms, those sounds effects sounded to be from Hokutou no Ken. I saw too many old things related references in Ika Musume to think they didn’t know what they were doing. This entry was posted in Games, Ika Musume, Opinions on... and tagged Ika Musume, Opinions on... on November 1, 2011 by rockmanshii.